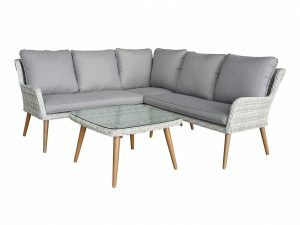 The mix of teak wood, aluminum pearl coating colour and turquoise decoration cushions makes the Bali very outstanding. The design is close to an indoor style. With a beautiful contrast the Bali collection forms a beautiful sight in the sun. 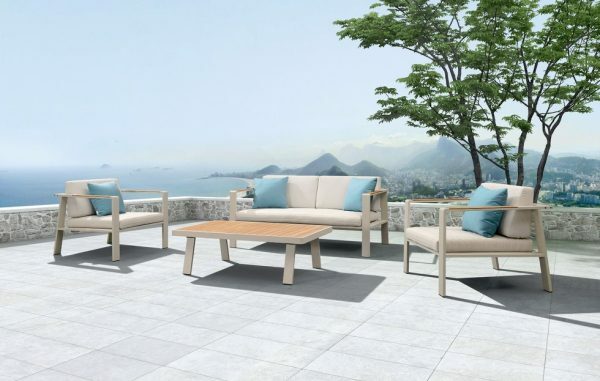 A complete outdoor furniture set to make your life simpler. 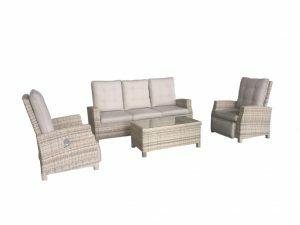 This furniture selection has been made to combine perfectly different elements that will decor your garden. Also, this sets will optimize your budget rather than choosing these pieces separately. 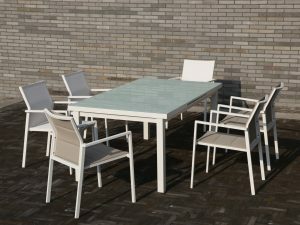 In Muebles J. Briñas, your furniture store in Torrevieja and Guardamar, we are specialists in outdoor furniture.